Going with the intention of buying a 50-inch TV under $500 might result in a disaster if you dont know what to look out for. Brands and companies often sell off their worst models for a low price tag because they look high-end and upmarket. Customers are reeled in to buy a TV that isnt worth the money and it leaves customers upset and annoyed at the product they have purchased. What about if you knew what 50-inch TVs to buy under $500 were the best? Perhaps we tell you what aspects you need to look out for in order to know youre getting a good quality TV? Were here to help. We understand the struggle of being on a tight budget but still wanting a high-quality TV that can play movies and your favorite TV shows better than anything else. 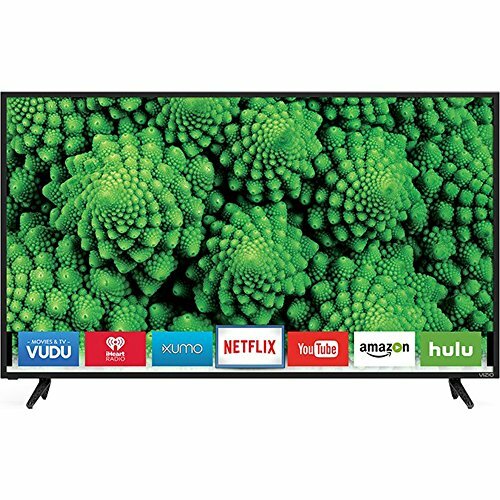 What to Look for When Buying A 50 Inch TV Under $500? 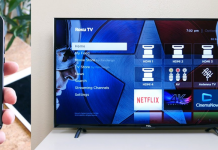 Whats the Best 50 Inch Smart TV Under $500? 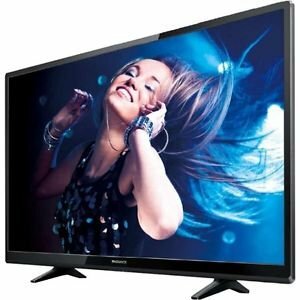 Whats the Best Value 50 Inch TV Under 500 Dollars? Often when youre paying a lower price, you wont be able to get the bigger model home theater systems, or you can, but theyre not great quality. There are a select few on the market that offers both quality and good value for money, and thats why weve listed 7 top picks below. Were reviewing them and telling you more about each model in depth so you can choose your new TV without any hassle or worry. Weve also included a Buying guide, so youre more clued up on what to look out for when youre on the hunt for a brand-new budget TV. This 50 Inch, Samsung UN50M5300A model, is the perfect fit for any family or couples home theater. It has a full-HD resolution and a great picture quality. It has some excellent smart features which allow the user to connect to any of their favorite apps and the internet. Whats even better about this M5300A model is that when viewed at wide viewing angles, the image does not deteriorate (unlike some other Samsung TVs). Although its not curved, it has a sleek and modern design but may not be ideal for anyone who is looking for a Smart LED TV with a smaller footprint. It features two chrome finished legs on either end of the Smart LED TV screen which is a basic yet adds nice-looking finish. The Smart LED TV is quite thick in width, but this doesnt affect the good quality or the overall look of the TV. Yet, it does effect if youre going to put the TV mounted on the wall while it is possible, its not entirely great for the look of the cheap TV. The build quality of this amazing 50-inch television is great too, its made of plastic, but this is mainly because of the low price tag of the TV. Its fine for normal use and isnt an issue. One issue the Smart LED TV does struggle with is the contrast ratio as it seems to be below average. This mainly is evident when the cheap TV is viewed in a dark room. However, its not so much of an issue when there is good lighting in the room. Why We Liked It - Youre able to get a good quality Smart LED TV for a lot less money than if you were to go for something more high-end. With this Samsung model, you know youre getting something that is good value for money, and it gets great reviews too, so theres no risk involved in the purchase. Even if youre a smaller budget, you still want to have a good performing TV with everything that everyone else has. This Vizio Smart LED TV handles motion blur very well so if youre wanting to watch action-packed movies or play some video games, its the ideal choice. It has a 1080p resolution too, so you dont have to worry about the image not being super clear on your screen. To add an even better feature, this D50-D1 model has a low input lag too, so all you gamers can unite and play your favorite HDR games at an even better price tag than you originally thought. Connect your gaming consoles, and youre ready to go. Similar to our number 1 pick, this Vizio D-Series LED TV stands on two legs (although theyre finished off black!) at the edges of the TV unit. They look good, and it would fit into any modern home theater with no issues. Having the two legs also means the TV screen is a lot more secure and stable, therefore meaning you have peace of mind when young children are around. For a budget TV, its also not too bulky either. When viewed from the side, you can see that its a little bigger than high-end models but nothing to worry about. It has an average picture quality which is good for a TV that is cheaper than other models. This Vizio D-Series LED TV also has good contrast ratio and blacks ratio, so that means its great for watching all your favorite things on. However, it lacks a lot of local dimming, and it has poor wide viewing angles as the colors do tend to get washed out when you view from the side. Why We Liked It - Sometimes its ideal to save money on a budget TV and get yourself something else with the remaining money! This 1080p resolution TV is great because its a clear image for a fraction of the price youd pay if you were to shop for high-end home theater systems, we can look past the lack of local dimming at such a low price. 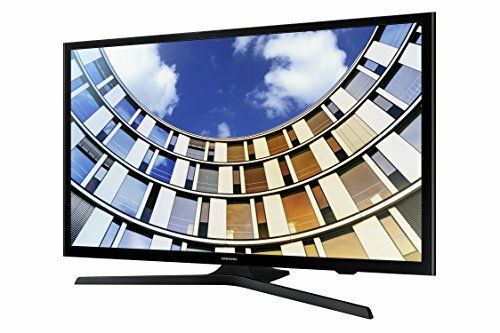 Considering its low price tag, you get a great quality cheap TV with a modern design with this Samsung UN50J5000 model. It has relatively small borders, and the stand is simply centered in the middle of the TV unit. For a budget TV, there couldnt be any better features. Since the stand is centered, its very stable but it does have a bigger footprint so isnt ideal if youre wanting to put it on a smaller table. The blacks are pretty uniform on this LED TV, considering how cheap it is to purchase. Yet, there is a problem with the default colors as theyre a little off. Although this doesnt directly affect your viewing pleasure, they cant be adjusted if you do want them to be. It can display movies well but its not the best, so if youre planning on watching a ton of new movies then wed suggest you keep looking for your perfect match. Why We Liked It - Despite the issues it faces, its a good gaming TV with a low motion blur and input lag. Meaning that all the money saving gamers can reunite over their love for this budget model by Samsung. While it might not be the best TV around it still has a good picture and sound quality and is below $500. Featuring extra smart features and a 1080p resolution, this Samsung UN50J5200AFXZA model looks and feels amazing. Even though it has a thicker design, it would still fit perfectly in a modern home theater. Likewise, to the other Samsung budget models, it features a central stand and has a plastic coating. This doesnt affect the viewing experience but definitely does drive down the price tag of the TV, since it doesnt have a chrome or metal finish! Along with the great black uniformity, the native contrast ratio performs well. Considering how cheaply priced this model is, it has a lot of extra features and can show your favorite movies and TV shows with ease. It even has a low input lag for all the gamers out there. There are two main issues with this UN50J5200AFXZA model, and thats the sound quality and the motion blur. Audio quality issues can be fixed with a soundbar or speaker that dont cost too much money, and the motion blur isnt something you can improve on but is a minor issue when youre looking at budget TVs. There are a lot more models out there that have a worse motion blur, and its not something that will negatively affect your experience too much. Why We Liked It - Having smart features on your budget TV can really add more personality and value to your new toy. Its great to have the features to play with and its even better that you can get it at a lower price tag than you may think. This Samsung model is amazing value for money and worth all the dollars you pay. Plus, Samsung is a reliable brand too! One of the cheapest budget TVs to buy on this list is the Sceptre X505BV model. While it doesnt have smart features, it has a full-HD resolution and useful HDMI inputs which are particularly ideal for anyone who wants to hook up and connect to your TV from a laptop and even gaming consoles. Another great feature of this model is that its not too bulky which means its ideal to mount on a wall or even just leave it free standing. Despite being a lot cheaper than other Smart TVs, it has still got a nice look and feels to it. The sound quality of this HD TV works really well too, unlike other budget models, it doesnt need to be connected to an external speaker or soundbar. This is great news for anyone who wishes to keep the price of their TV down as having lousy sound quality can often negatively impact your smaller budget. Whats even better is that this model has USB ports which a lot of budget models dont include. This is great if you want to connect a hard drive and look back on some memories with the whole family. Why We Liked It - While the picture quality on a TV is important, there should be other considerations thought about before you jump in and purchase your dream TV. When youre on a budget, it can be difficult to choose the right cheap TV when you dont know how to spot the great features that some models have. This hidden gem is the perfect example of a model you should look out for! Another great choice for anyone looking to save some money is the Magnavox model, it may have a bulky side view, but its a great quality find and its worth every penny you pay! It has a 1080p resolution and some extra smart features in case you want to connect to the internet. Its a cheap price tag but looks great in a bedroom or your family living area. 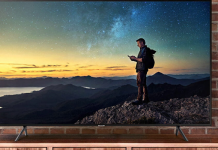 Since this make is 50 inches but still lower in price than other Smart TVs, youre still going to look high-end even though youve paid a fraction of the pay that everyone else pays. It has a good picture quality and native contrast so watching your favorite movies wont be a problem. It also handles motion well too so if action-packed shows are your thing, you dont have to stop watching them! Yet, since it is a budget model, it does have a few issues. The design isnt the best weve seen, and there are other options on this list that are better, but theyre also more expensive. If you consider the pay you pay versus the look of the TV, youre getting a good value TV. Its just not everyones first choice. But, if you can save some money, why not try it out? Why We Liked It - There is nothing better than purchasing a TV you love and knowing that you paid a lot less than other people. We love bigger TVs, and you shouldnt have to pay a bigger price just because you want something that is 50 inches over something smaller. Researching and purchasing a budget TV should be about finding the best one for you after considering all of its positive and negative elements. Although its good value for money, we cant help but think about the design of this HD TV. The screen and borders look great, but the two stands arent the nicest looking weve seen. Despite this, the Vizio D50F-E1 is a great addition to any home theater. It is excellent in motion handling, and it even has a low input lag, so gamers can make use out of it with their gaming consoles. 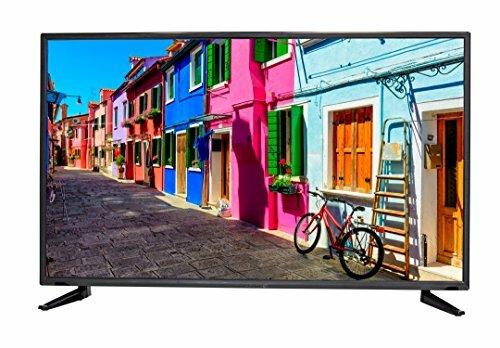 Since this HD TV is under $500, it isnt the best model you can purchase on the market, but it does the job well and is able to show TV shows and movies well. The sound quality could be better too, but its still a lot better than other Smart TVs. 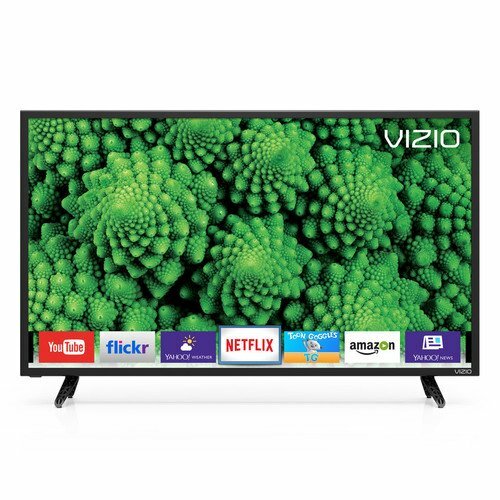 This Vizio HD TV definitely excels regarding the smart features which allow the user to connect to the internet! Most affordable TVs you can buy online dont have this feature, and its a great addition for anyone who wants streaming channels or to stream popular TV shows rather than watching them live. Why We Liked It - Its a smart HD TV at a low price, whats not to love? Before you purchase a new 50-inch TV under $500, you have to think about the most critical elements. 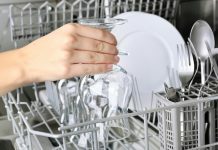 Some of you may only be bothered about whether it works and perform well but investing this amount of money is still a significant commitment, and you want to make sure you have the best product you can. Its a difficult job getting a good quality TV when youre on a budget, but with the right head and knowledge, youll find your perfect match in no time. Below are some factors you might want to consider when youre on the hunt for a 50-inch TV under $500 when youre on a budget. Theyre not all essential and it is mainly personal preference, but the better models will have these aspects even if they only have some rather than them all. Full-HD or 1080p Resolution A crystal clear image and great picture quality is something that can ultimately make or break whether you like a TV. Having a HD screen allows the user to see everything and feel even more involved in the action. The best 50-inch TVs under 500 dollars will have either a 1080p resolution or a full-HD screen. If youre lucky, you might even get a cheap 4K TV deal but since 4K resolution a relatively new concept they probably wont start to decrease in price for a few years. 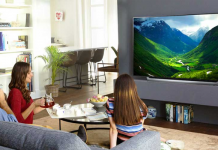 Its always good to keep a lookout for any cheap 4K TV deals that could be floating around the market, this is where youll get the best affordable TVs to buy on your budget. A Simple Yet Modern Design There is nothing worse than having a bulky and old-style design of a TV, especially when your home theater area is modern. There are so many sleek looking affordable TVs that suit a smaller budget, theyre often the ones that look the best. You want something with thinner borders and a nice yet stable stand to hold the TV unit. You may also need to consider how youre going to stand the TV, this could be mounted, or you could leave it on a table. If youre going to do this, ensure youve got a table big enough to fit the stand and unit on. Extra Smart Features Although theyre not essential, it definitely makes the TV better. Having the TV connected to the internet means you can explore apps and watch even more of your favorite movies and TV shows if you dont want to watch anything on satellite. The price tag of the TV will typically rise when smart platforms are involved but sometimes you can get a good deal on them, especially on Black Friday - so its even better! There are quite a few 50-inch TVs under $500 that incorporate smart features. You should also consider how well the smart features work. 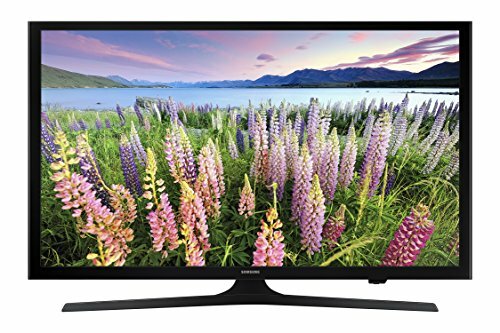 The Samsung UN50M5300A model is the best smart TV that prices under $500, this is because even though many other models have smart working features, it works the best. Also though its cheaper, Samsung has produced a great product with this model. This is one reason it first in our top picks list below! Although there are many amazing contenders for the best value category, we have to go with the Samsung UN50J5000. It has a good picture quality, and overall, the features are a huge plus, even though its super cheap and one of the least expensive models on our whole list! LCD models are a lot more affordable than LED TVs you can buy as they cost a lot less to produce and therefore brands can sell them at more affordable prices. If youre looking at saving money, make sure the model you purchase is LCD because theyre great quality without such a huge price tag, unlike LED TV models. In terms of screen sizes, this one is pretty big compared to the others on the list! The first-ever American television station started working in 1928, and as television started to become more popular after the end of WW2, by 1948, TV was in over 1 million American homes. This then increased even further with 600 million people all over the world watching the moon landings in their homes in 1969. It was estimated that around 1 billion people watched Elvis Presleys live performance in 1973. 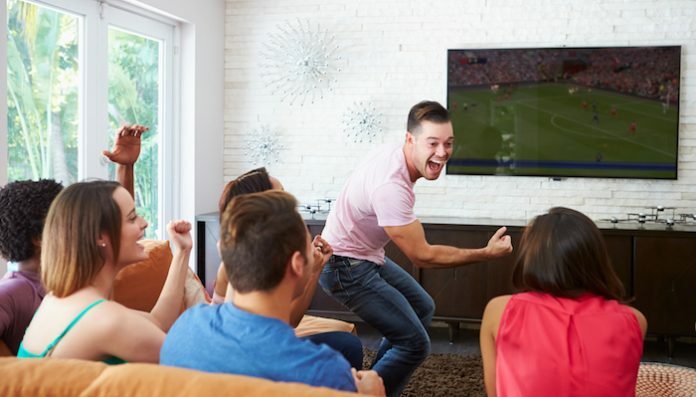 As of 2019, 99% of American households own at least one TV set, and 66% have 3 or more!